Last edited by devoltz on February 7th, 2019, 10:07 am, edited 1 time in total. Did you use File Name Scanner to rebuild this map ? The map you provided can't be hosted too, since there's a lot of important missing files, like the .j script. The map i provided you was 15.54mb size and could host normally . Your uploaded map was about 7mb only ? The map also have the support file .mix to see the models in game . 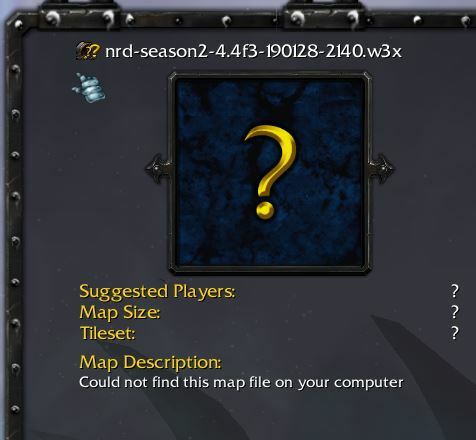 1.30.4 warcraft, only request maps that work on newest w3 version. And yeah, it's 7.55 mb because there was files lost on rebuild process.